Black Bull	No ratings yet. Flavour is hugely important to us at Black Bull along with enjoying the good times, so with each of our blends we set out to create something new and different – whilst keeping in mind 150 years of Black Bull blending values and philosophies. 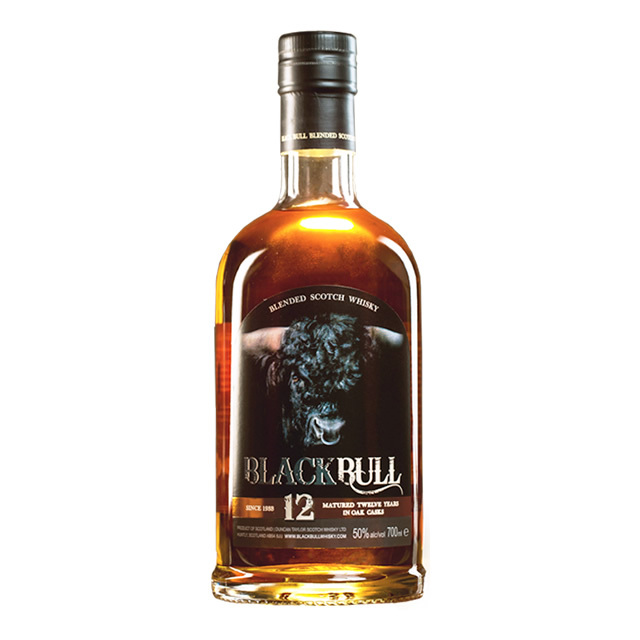 We have created each Black Bull blend with its own flavour and character, so from the vibrant, untamed Kyloe to the big, bold 12 year old to the definitive, refined 40 year old, there is a Black Bull to suit your personality and pallet. We created blends that we like drinking ourselves and we want to share these with you, so we say throw off the modern day shackles and grab life by the horns! 12 Our 12 year old, charges at you and shakes you up a bit, but then leaves you with a realisation that this is what blended Scotch whisky should actually be like, a bit of rough and tumble with a silky smooth ending.